I was so excited last week, because at the farmers market I go to in Little Italy, one of the organic produce stands had baby cucumbers! 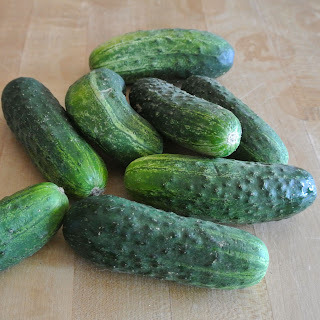 I have been wanting to make my own pickles for a while now, but never could find the baby cucumbers. I got busy right away. It only takes a few minutes to make these pickles, and they are ready to eat in one week. 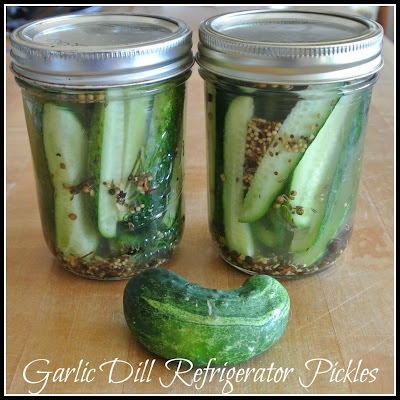 You can adjust the garlic and peppers to your taste buds, so you get the perfect pickle for you. 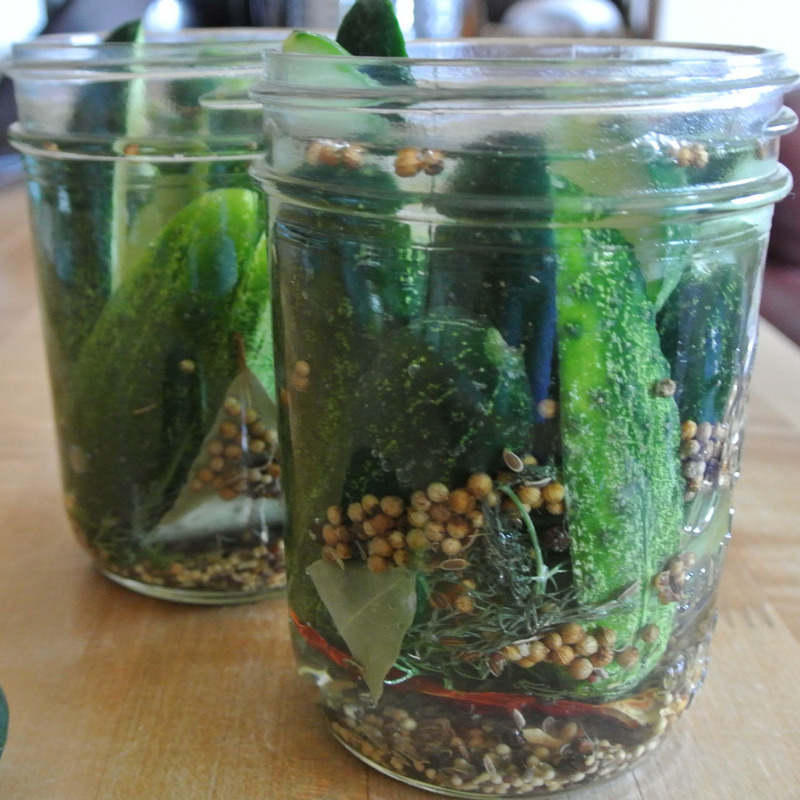 This makes 2 jars of pickles. Put 2 garlic cloves into the bottom of each jar. Add 4 dill springs to each jar. Divide the pepper corns and hot pepper flakes between the two jars. 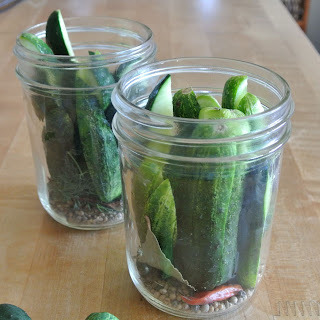 .Pour the boiling brine into the jars over the cucumbers and put the lids on the jars. 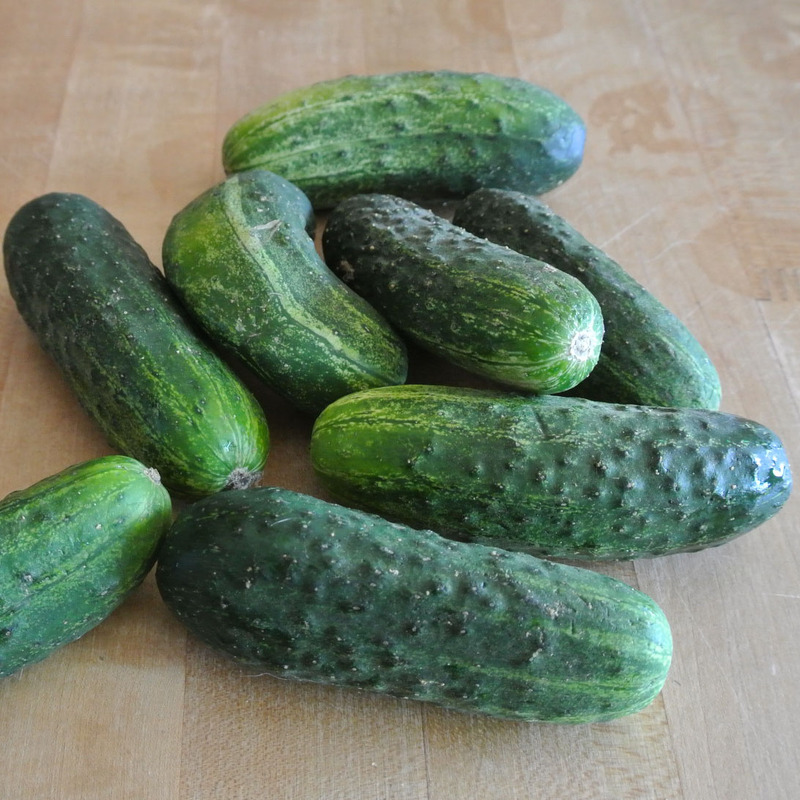 I just saw baby cucumbers at the farmers market this week and almost bought them. I've never made my own pickles before but was going to try them out this summer. I can't wait to try your recipe, thanks for sharing!